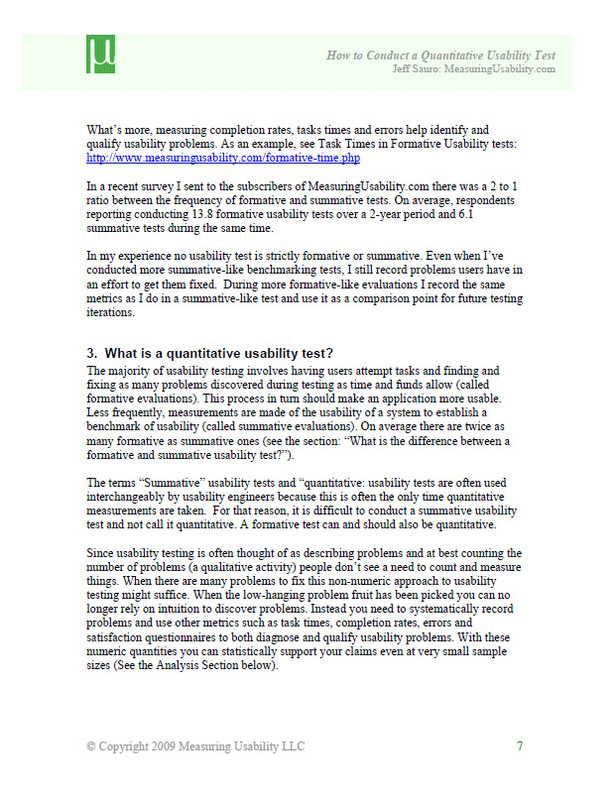 Do you know how to measure usability? 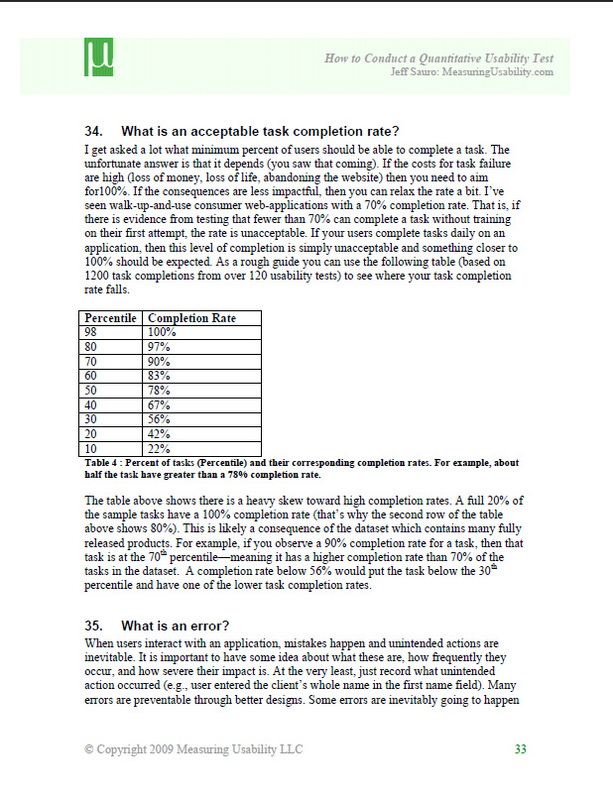 Do you have questions about the benefits and process for conducting a quantitative usability test? 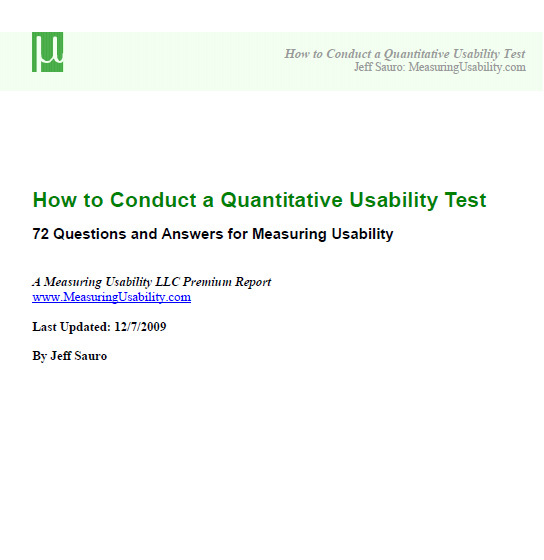 I’ve assembled answers to the 72 most common questions that arise from measuring usability. 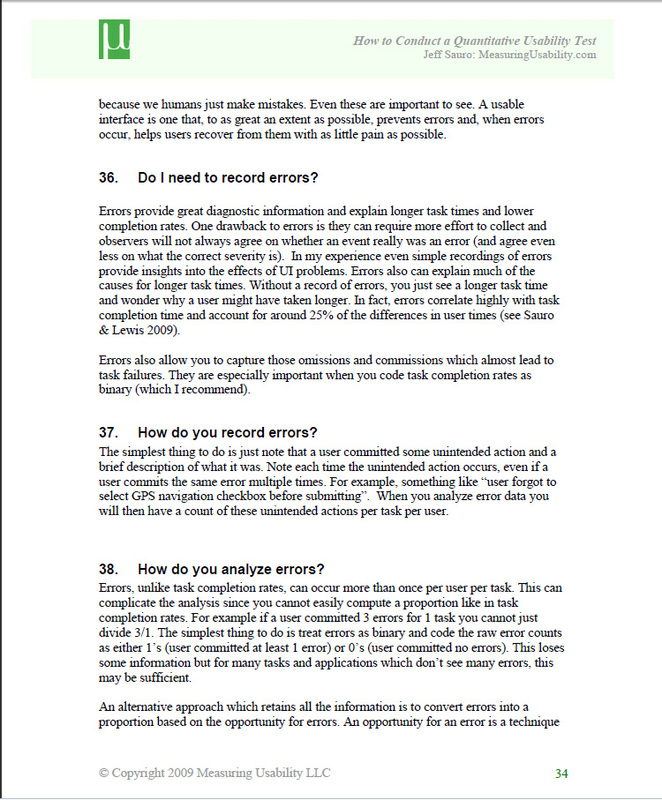 In this 64 page report I provide concrete examples and plenty of data from a dataset of 120 usability tests, the latest usability research and my decade of experience conducting quantitative usability tests. 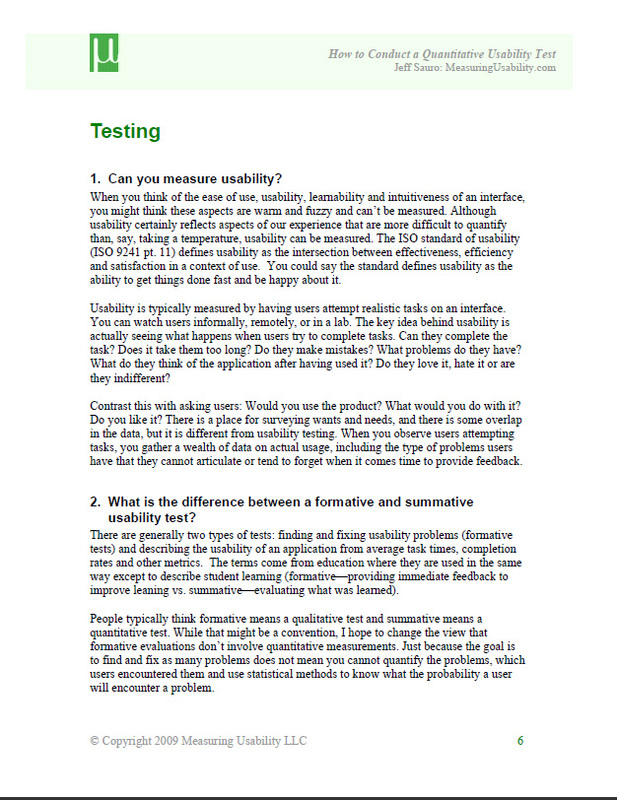 This is an electronic (downloadable) copy of A Practical Guide to Measuring Usability. You may purchase a hard copy on Amazon. 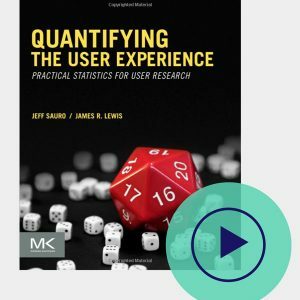 Provides both a high-level overview of the benefits of quantitative usability testing and the mechanics involved in recording, analyzing and reporting usability data. 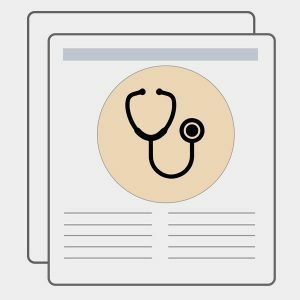 Includes nine figures, seven tables, and fifteen references in 64 pages.